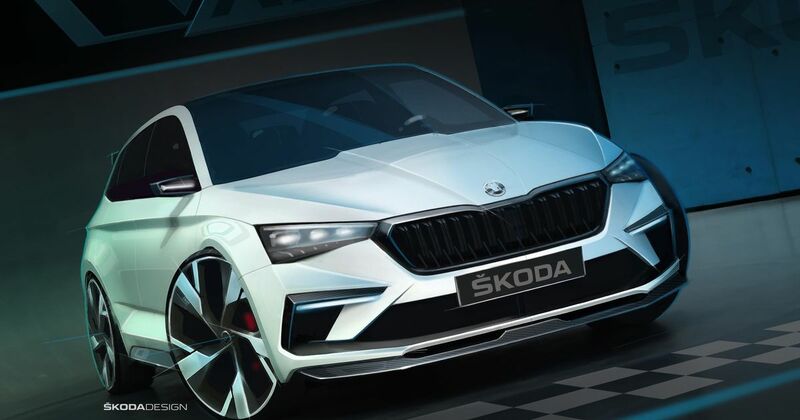 It seems any performance car concept worth its salt these days needs to be some high-power, all-electric technological showcase, but Skoda’s new Vision RS is shock horror a hybrid. And it’s a handsome concept, too, going by these new sketches. 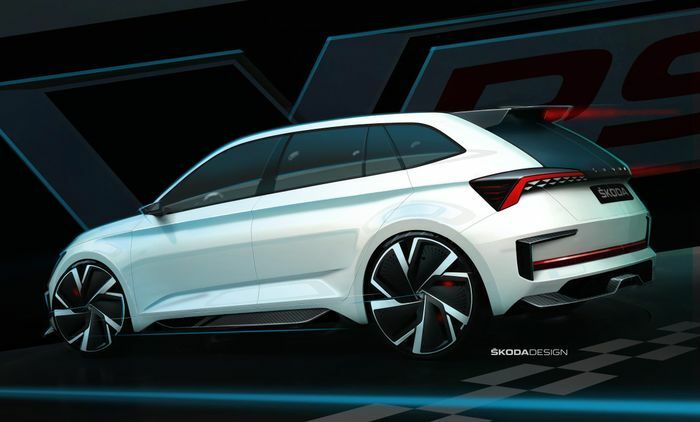 Its Fabia-like exterior is finished in “Xirallic crystal sparkle effect paint,” and is further spruced up with motorsport-inspired touches like a new front splitter, rear spoiler, air intakes and side skirts. Under the skin, this ‘concept study’ has a powertrain that marries a 1.5-litre TSI ‘Evo’ inline-four turbo with a single electric motor. The total system output is 242bhp, which makes the Vision…not as quick as you’d expect, it must be said. 0-62mph happens in 7.1 seconds - half a second down on an Octavia vRS 245. Perhaps it’s a little on the porky side? It’s plenty efficient, though, with average CO2 emissions of just 33g per km. It has an electric-only mode, in which it can travel up to 43 miles. The 13kWh lithium-ion battery pack is topped up as you drive, but can also be brimmed with electricity in around two and a half hours using a public charging station. To make a point about sustainability, much of the interior is made from vegan materials. The “floating” seats are part-covered in a “100 per cent recycled polyester thread,” while the floor mats are made from a material called Piñatex, the fibres of which are extracted from pineapple tree leaves. 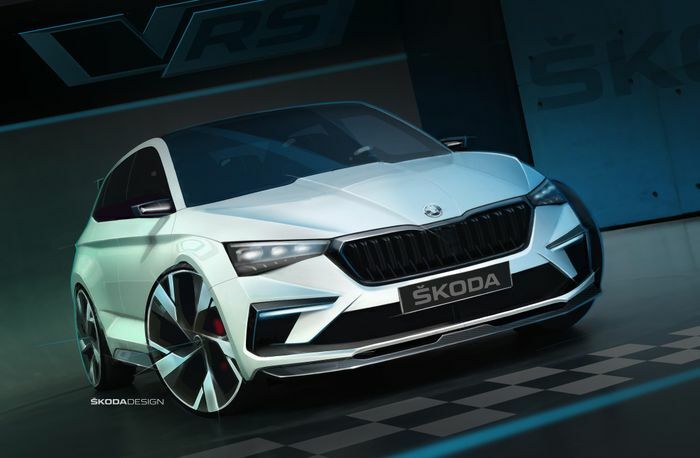 The idea behind the car is to “offer first insights into design evolution of Skoda RS models,” the Czech company says. We’re not sure if any of the pineapple-derived elements have a future in the company’s products, but it seems likely that 1.5-litre hybrid powertrain will make an appearance in forthcoming VW Group products. The concept will make its public debut at the Paris Motor Show next week.